"Aikido asks us to look at the fact that if we blend with the attacker, the attacker’s strength unifies with ours. We become one with the attacker, and in that state we are actually much stronger than we were without the attacker, and in that unified state, the attack ceases to be. And in that particular state, we have peace." Jack Wada teaches the non-violent Japanese martial art, Aikido, “the way of harmony with life energy.” Since 1974, Wada has been teaching students how to blend with and re-direct the movements of an attacker to resolve conflict. 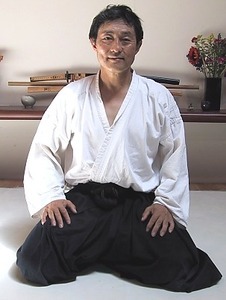 He has also taught Tai-Chi, meditation, and is a practitioner of the spiritual path of Kototama, an ancient Japanese tradition and practice of generating ritual sounds and words that are believed to influence your body, mind, and soul. You can learn more about Wada at http://www.aikidosj.com/.